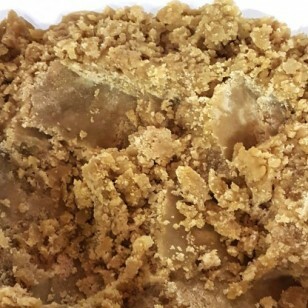 Live resin crumble uses fresh, frozen whole cannabis flowers as opposed to buds that have been dried and cured. Extracting the oil from fresh plants captures a unique aroma that gets lost in the curing process. Extract artists applaud live resin for its high terpene content, but what do lab-tested terpene profiles of live resins have to say about it? Terpene analyses confirm that live resin indeed has more of a “fresh plant” terpene profile than cured-bud extractions.